Clean and trim Brussels sprouts. Cut large heads in half. Pour the Brussels sprouts onto a large sheet pan (in a single layer). Sprinkle with salt and pepper. 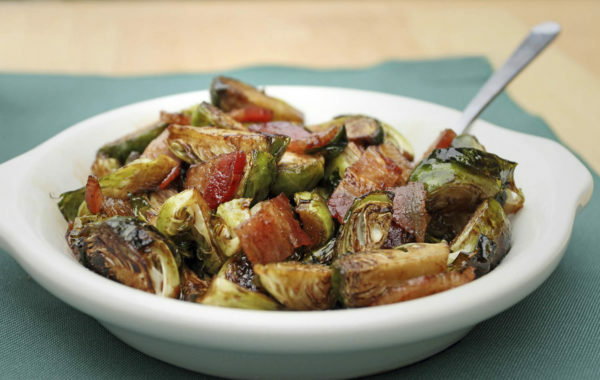 Then evenly sprinkle the cooked bacon pieces over the Brussels sprouts. Bake in the oven for 20 to 30 minutes, turning halfway through the cooking time, until golden and lightly caramelized.